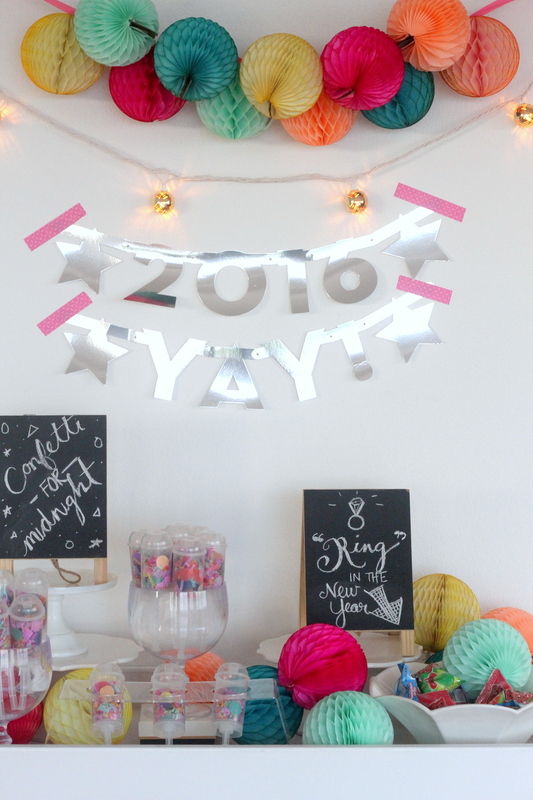 We aren’t hosting Christmas this year, but we are hosting a sure-to-be-fabulous New Year’s Eve party (creatively dubbed the New Year’s Extravaganza) with some family friends and we cannot wait! 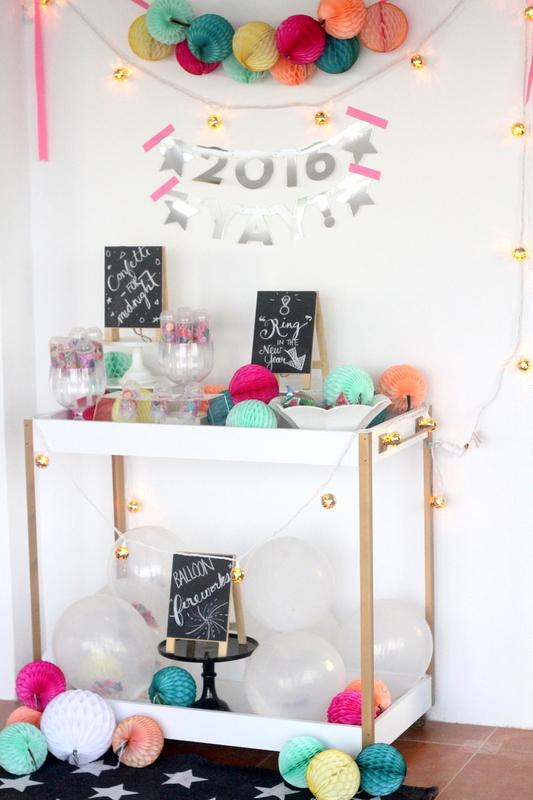 Since we started party planning this week, I got out the pictures of last year’s New Year’s Eve party and thought I’d put together a little list of my favorite New Year’s party ideas from last year (and throw in a few new ones that we are going to try this year as well). 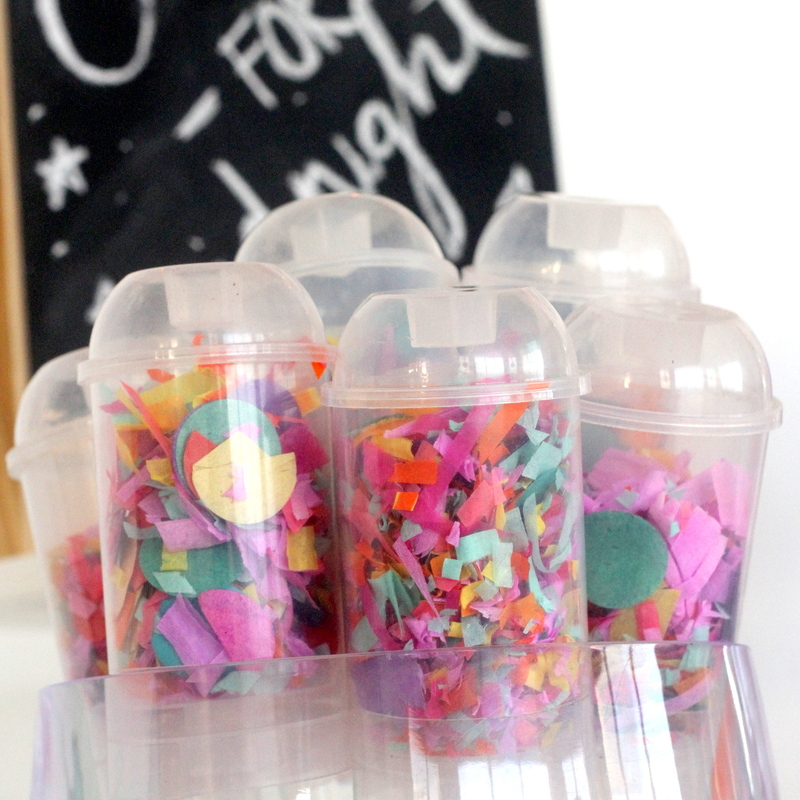 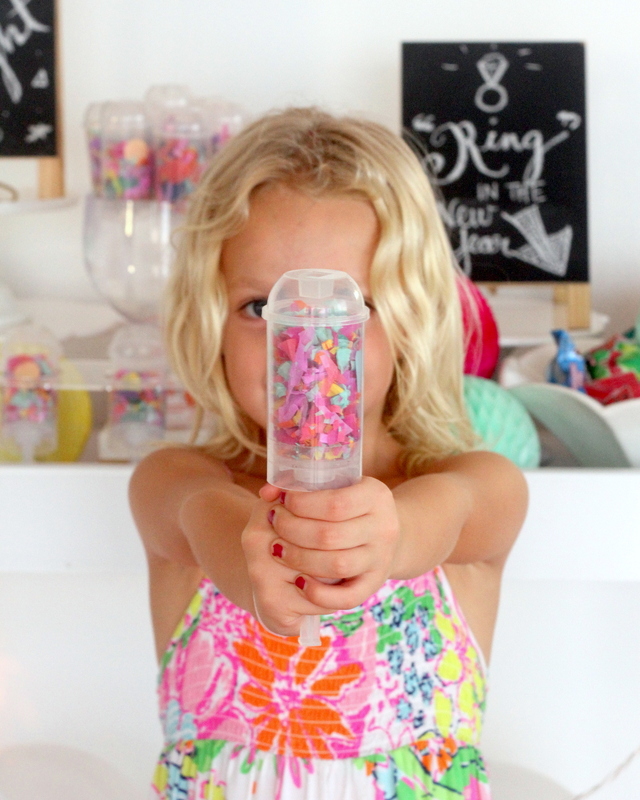 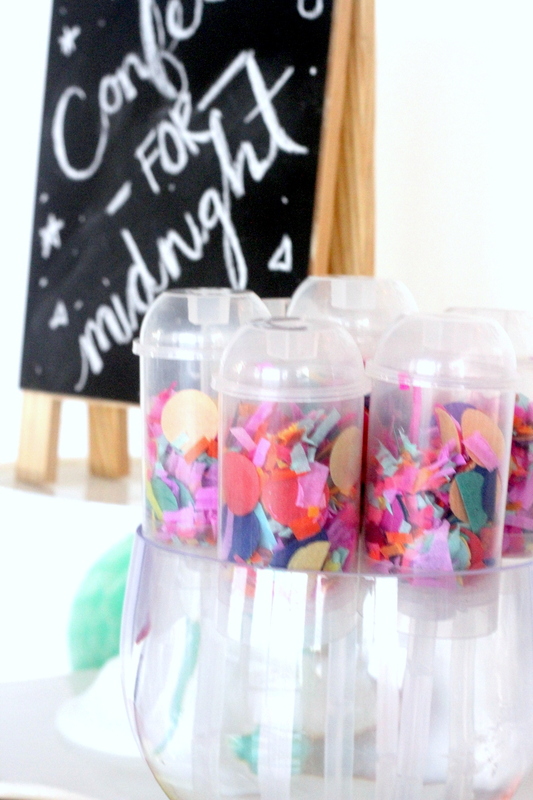 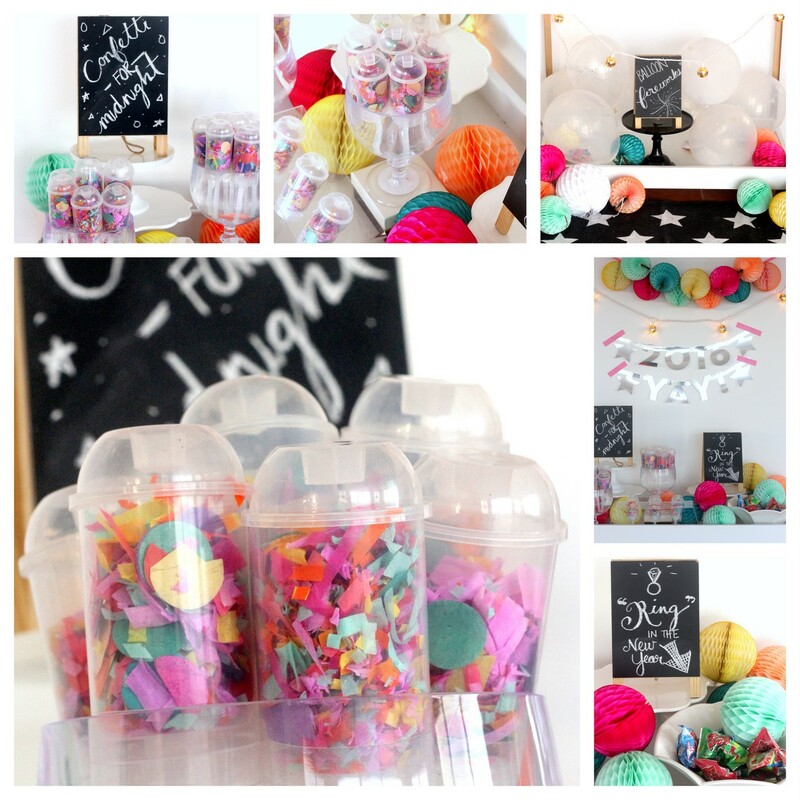 ps- Once upon a time, we threw a confetti themed surprise party for my niece! 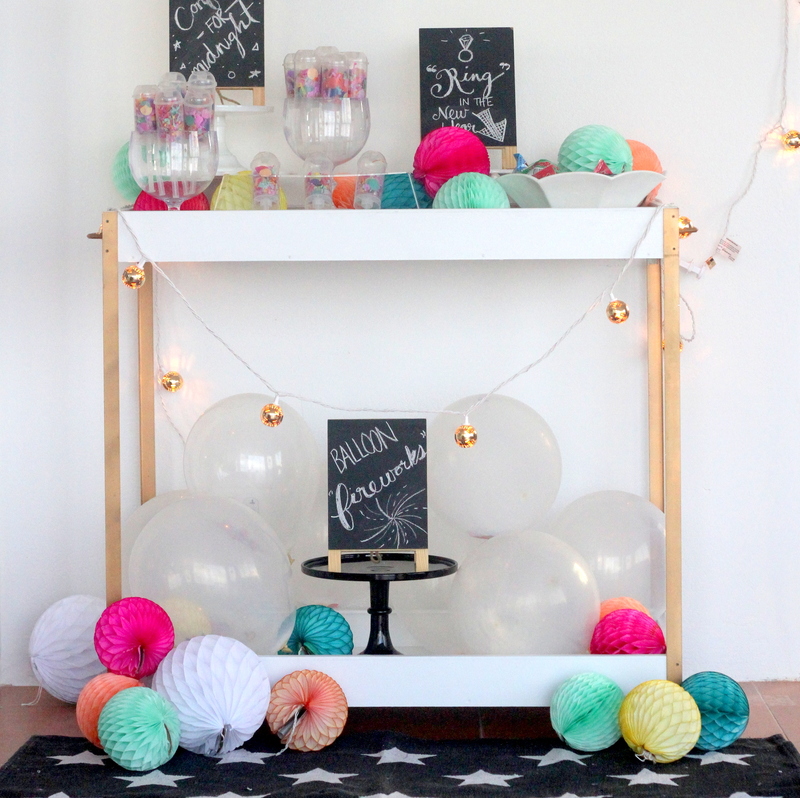 There are tons of New-Year’s-Eve-ish party ideas there as well (plus a confetti fight– SO FUN!). 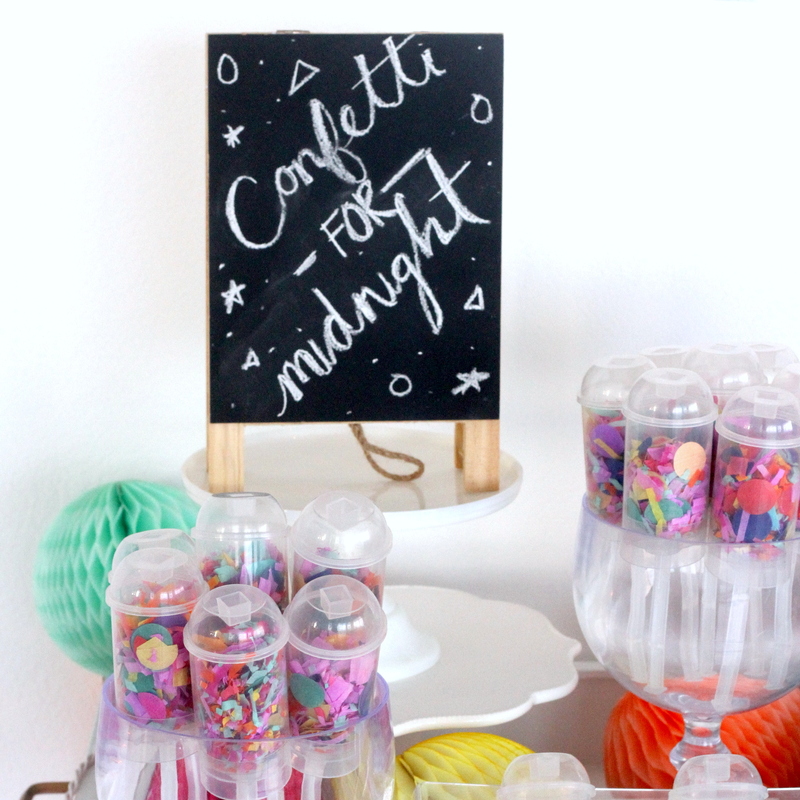 Last year we hosted a bunch of teenagers from our church for New Year’s, and Piper and I had so much fun putting together a confetti bar for midnight (this will probably shock you- Burke is not as into party prep, so mostly it’s just us girls as the ‘event planning committee’). 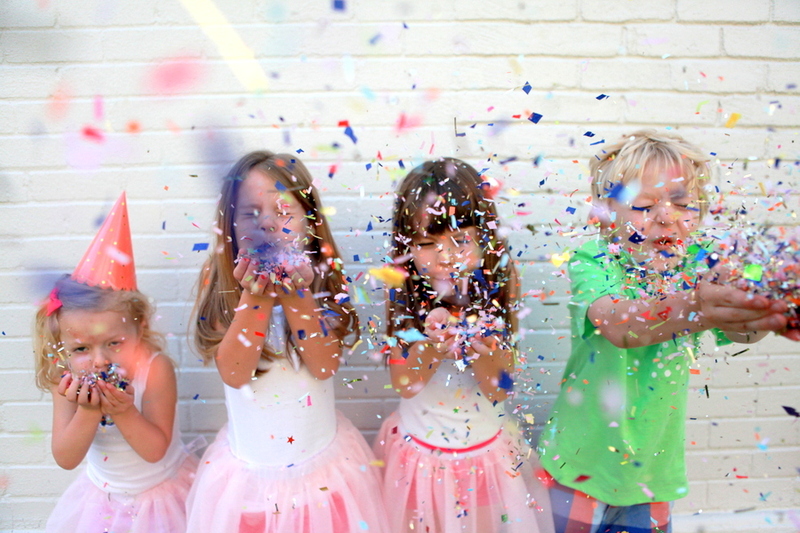 …and just generally prepped the back porch for an explosion of confetti. 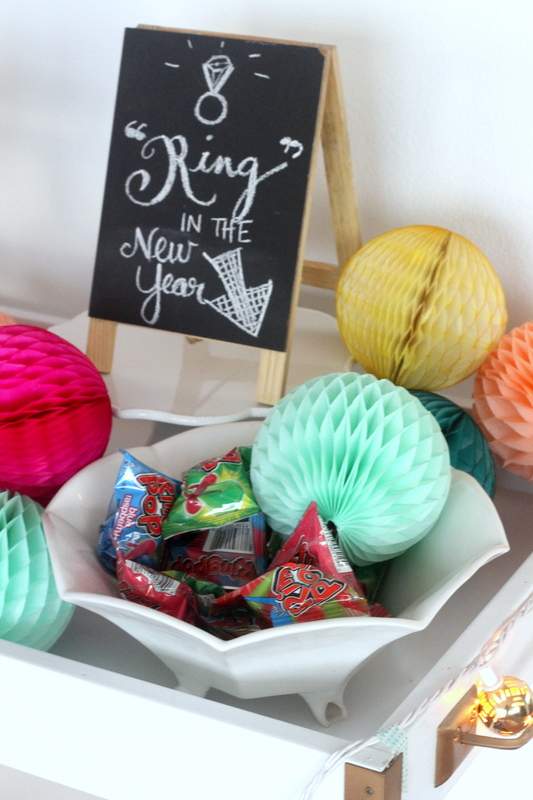 We had some Ring Pops leftover from our Christmas trip to Seoul, so a little “Ring in the New Year” feature was perfect- easy, cute, and a big hit! 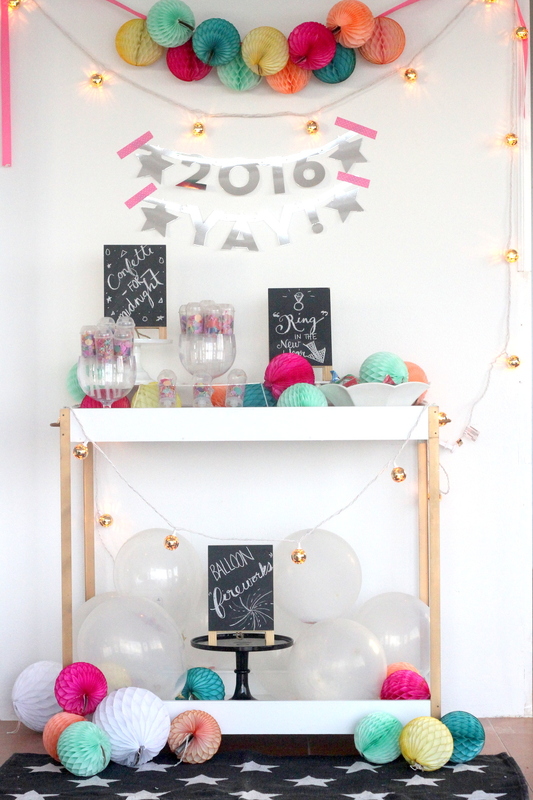 …and added a couple strings of lights. 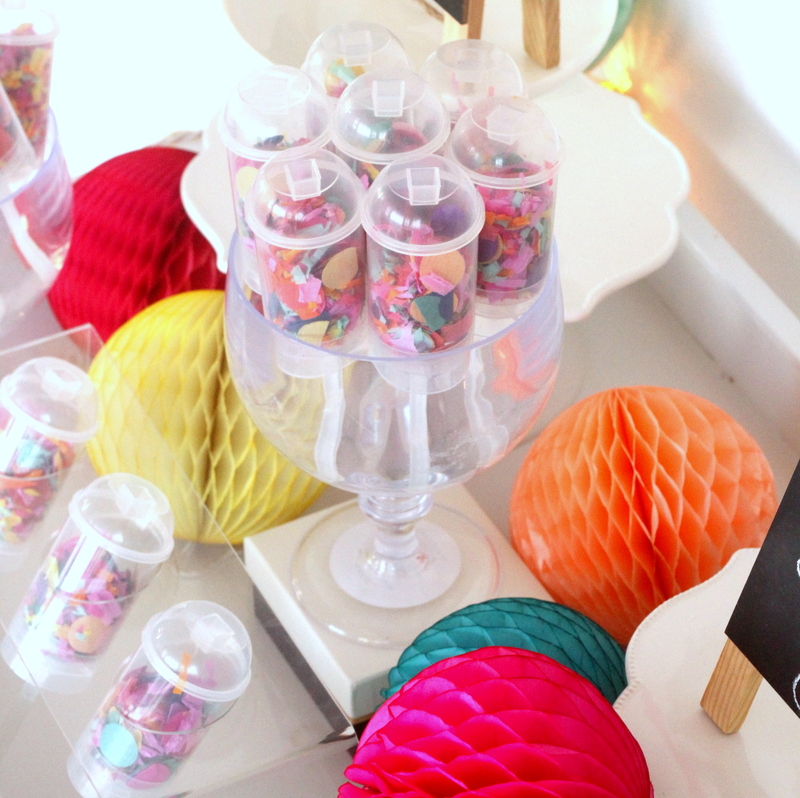 I think the entire setup took half an hour and was made up entirely of things we had on hand (because Saipan). 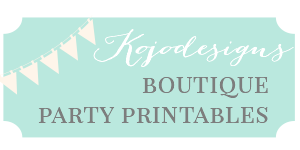 But also, for those of us with access to Target or AmazonPrime (which now also includes ME! 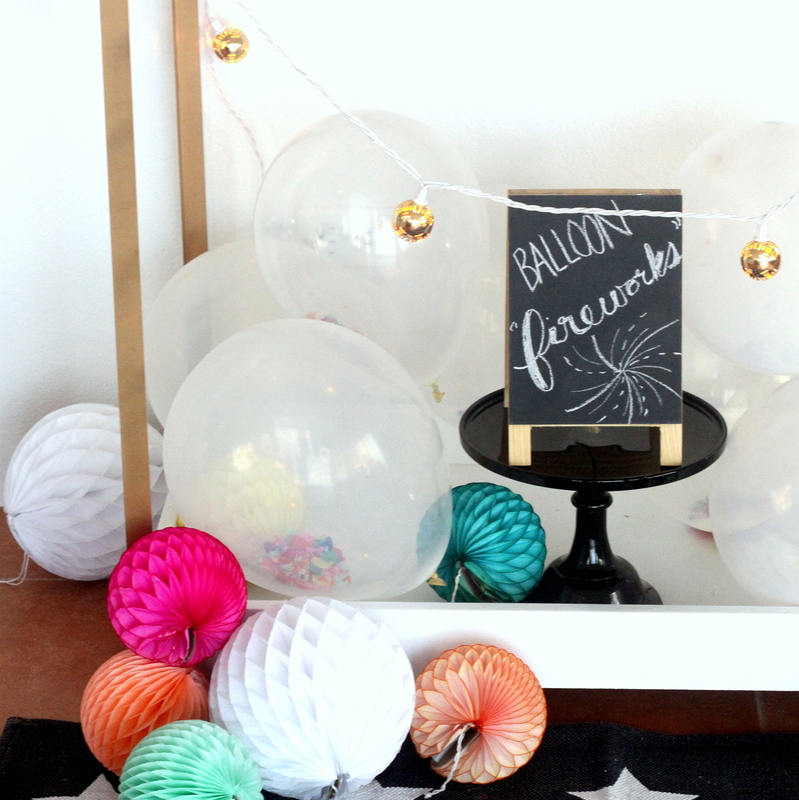 ), all of these decor elements are so easy to find. 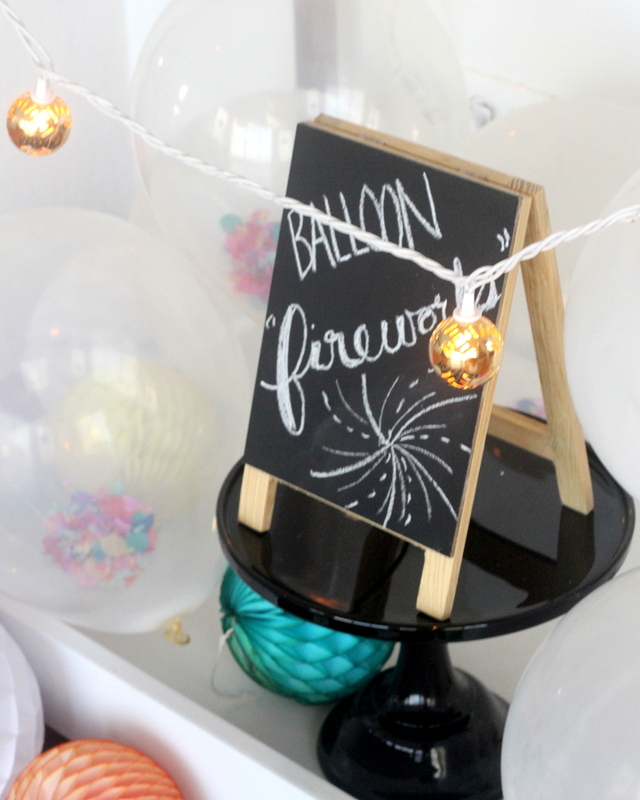 I can hardly wait for the 2017 version of these to come to life (the plan right now includes adding fondue and a scavenger hunt to the mix, so it’s going to be good!). 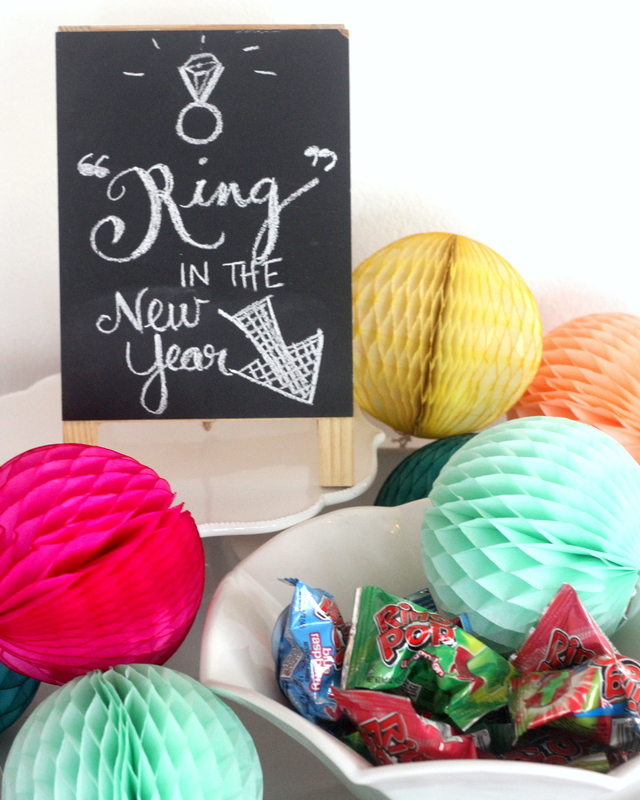 Yay for New Year’s Eve parties!